Just wondering…do you live in or near the Twin Cities? 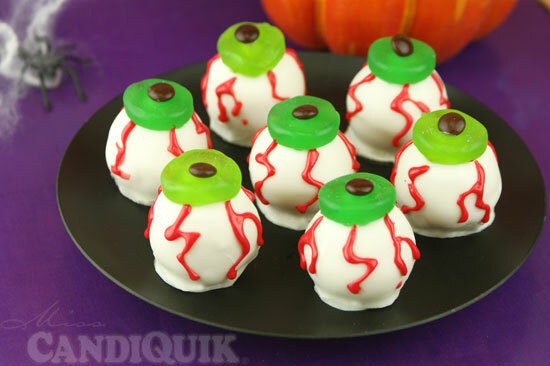 If so… you will see THESE Eyeball Cake balls featured on TELEVISION fairly soon. 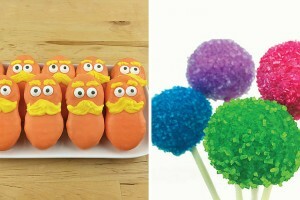 To be more specific, I will be making these on tv very soon. As in today (October 19th) at 3 p.m. CST! Until I slip, fall and spill Candiquik everywhere, or say something that sounds completely idiotic. You think about these things when you’re going to be on tv. 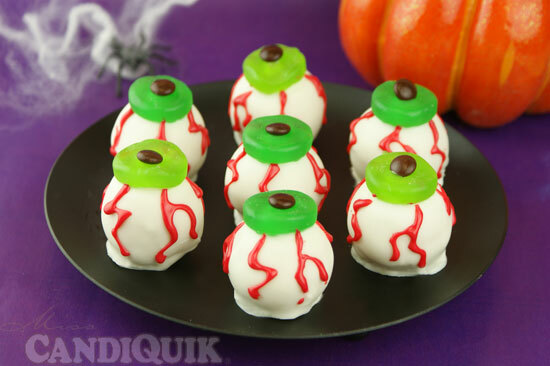 So in the case that I run off the set before these get made… I thought I would share them here first, Eyeball Cake Balls! Just kidding. I’m completely confident that everything will go smoothly. Kinda. Sorta. I hope. 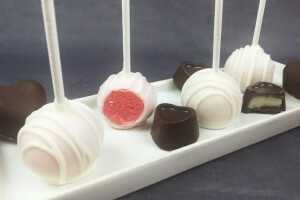 Wish me luck & I’ll be posting the link to the Twin Cities Live episode soon so you can all see! 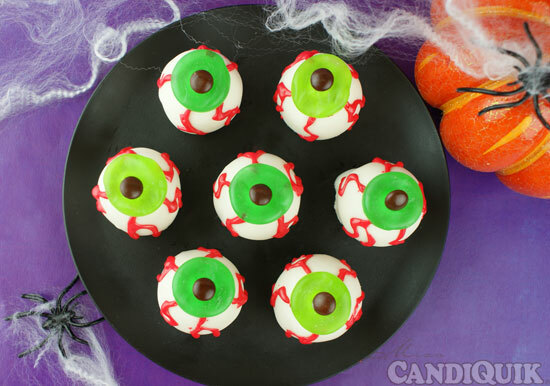 Creepy eyeball cake balls, perfect for any Halloween party! 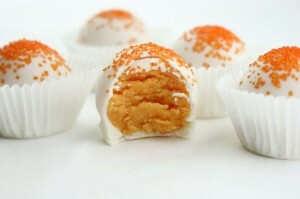 Dip cake balls in CANDIQUIK and place on wax paper. 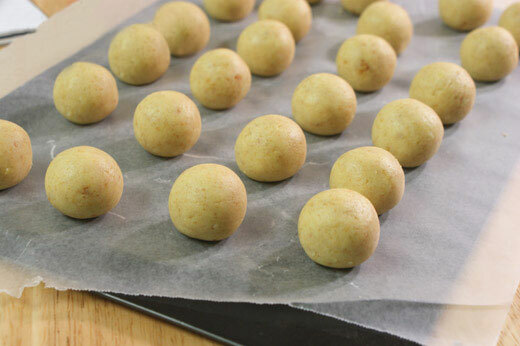 Before dry, press 1 Gummy Saver candy in the center of each cake ball. Place a mini M&M in the middle of the gummy saver. 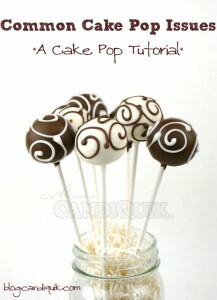 Once completely set, use cake writing icing to pipe red lines on the sides of the cake ball. 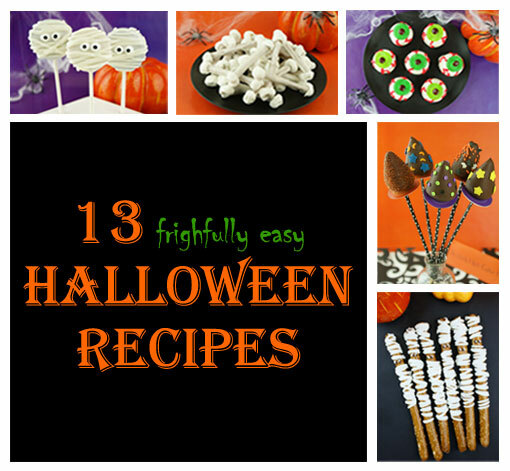 Don’t miss these 12 other awesome Halloween Treats! 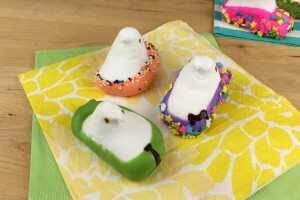 Those are so fun! I’m sure you’ll do great, I wish I could see it. My husband and I do local tv programs for the cable co, and the times ppl mess up are the most fun/interesting. So I don’t think you need to be concerned about that. It makes it “real” and enjoyable! Have fun and enjoy yourself! Best wishes! Thanks! It went well – minus my nerves :)! But I’m sure the first time is the worse…Hopefully it gets easier the more you do it! This looks so cool! I’ve featured it on this week’s Bulletin Board! 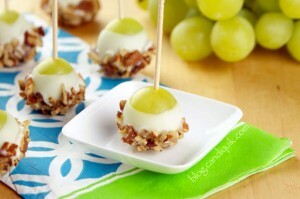 I have a question…if you are not putting them on a stick…how do you dip them. Sorry this is my first time! 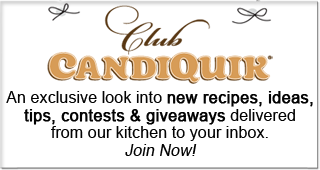 Thanks so much in advance!